A good routine for keeping your teeth clean is absolutely essential in maintaining oral health. 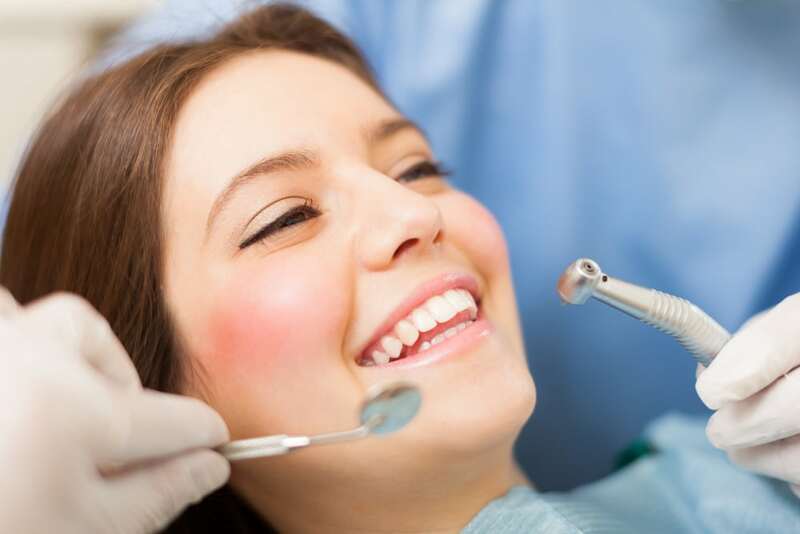 It makes sense that clean teeth are the bedrock of a healthy mouth, and that’s because all aspects of oral health are interconnected. If you have clean, healthy teeth, you’ll probably have healthy gums, a healthy tongue and healthy cheeks. Luckily, keeping your teeth clean is easy, you just have to put the work in. What is the Best Routine to Keep Your Teeth Clean? Brushing: You need to brush your teeth twice a day – no ifs, buts or maybes. Brushing is essential in removing the bacteria and plaque that build up on your teeth throughout the day. It also helps to remove stains before they get a chance to settle and become permanent. A good technique uses small, gentle and circular motions to clean every surface of the teeth, as well as the cheeks, tongue and gums. Brushing too hard is dangerous, as it can remove enamel and create a receding gum line. Flossing: In addition to brushing, you also have to floss every day. We can always tell if a patient flosses regularly because they enjoy significantly cleaner and healthier teeth. Flossing once a day removes the floss and bacteria from between teeth, and at the gum line, these are areas you just can’t reach with the toothbrush. It is estimated that you can miss up to 30% of plaque simply by not flossing! The best time to floss is just before bed, so the bacteria and plaque can’t wreak havoc with your gum overnight. Diet and Lifestyle: A poor diet, as well as smoking and excessive alcohol consumption, affects your ability to keep your teeth clean. You need to limit sugary and acidic foods, increase your intake of nutritious whole foods and think about reducing or quitting any behaviours which affect your oral and overall health. Visiting your dentist every six months for a professional scale and clean tops off all the excellent work you do at home. We use gentle yet sophisticated tools and instruments to remove the plaque and tartar that your at-home regime hasn’t been able to lift. We also use this opportunity to look at your overall health and see if there are any issues that require attention. Likewise, we look at your teeth to see if your brushing and flossing technique is working. We can tell if you’re brushing too hard, or if your flossing technique is damaging your gums. It’s all part of your desire to provide a holistic approach to dentistry.